Imagine celebrating your nuptials dancing under the stars surrounded by vineyards that seem to sprawl for miles. 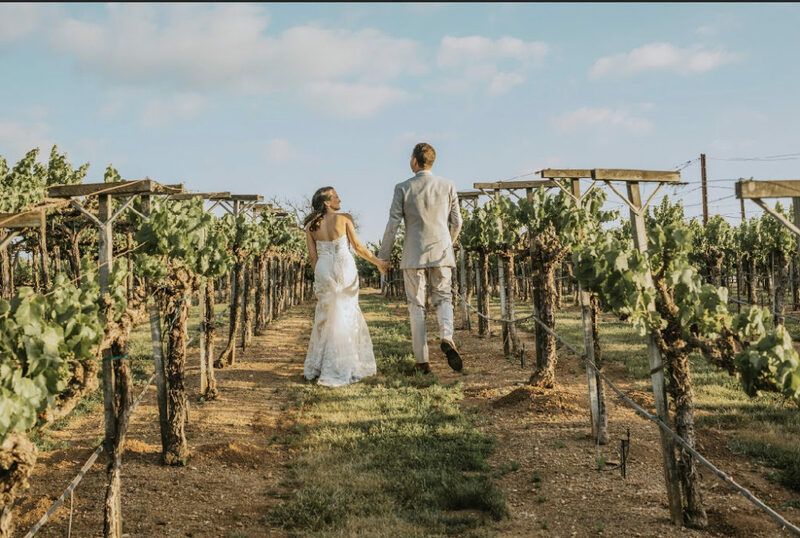 Whether you choose to get married under the Gainey Winery giant oak tree, or like Kelly and James did, at the historic Santa Ynez Mission with a reception celebration following, Gainey Winery is arguably one of the best wine country wedding location choices in Santa Barbara County. With plenty of event space /layout options (including the ability to use part of the Tasting Room with its roaring fireplace for guests to enjoy ), Gainey Winery & Vineyards offers panoramic views of the Santa Ynez mountain range , as well as being in the heart of the vineyard. We were so honored to be chosen to provide the catering for one of Santa Barbara’s premiere winery’s private member’s events! 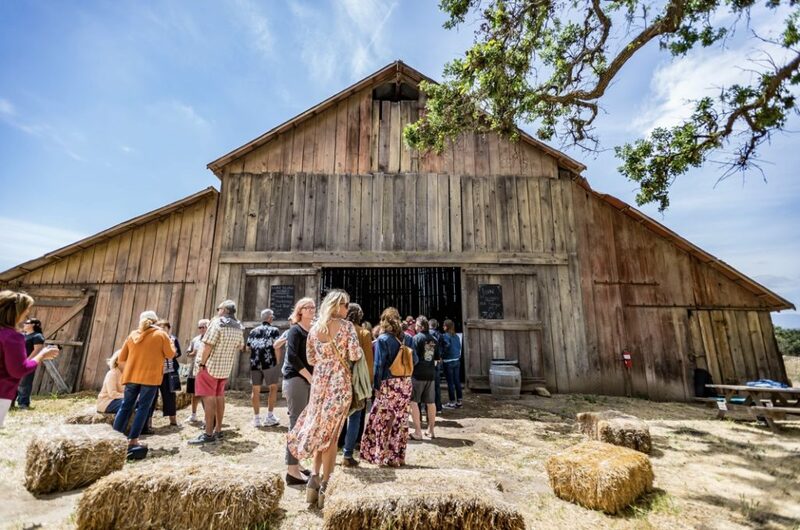 With over 1200 guests in attendance at Gainey Winery, this special event was held at the authentic 1800’s barn on Gainey Ranch/Vineyard with great music by the AJM Band , delicious wine and glass-making demonstrations. Our wedding story today starts out with three separate stages- all setting the scene for a celebration of love and triumph that lasted three days in Santa Barbara’s beautiful wine country, the Santa Ynez Valley. Like most couples, Michelle and AJ wanted something unique and to spend time with friends and family , who were all coming to their destination wedding; however, unlike most couples, they had a special cause for extra celebration, as the the groom AJ had battled – and beat- cancer. All event partners agreed to donate a portion of their profits to cancer research and we are proud to say that they raised over $78K, which was $38K over goal. This three day event was truly a celebration of life and it was our honor to bring everyone together over delicious food that suited each gorgeous venue and theme. Day One: The White Party, where everyone gathered at Sunstone Villa (wearing white of course) for some light , fun fare and games ; Day Two: The Welcome Reception at Gainey Winery and Day Three: The Wedding back at Sunstone Winery and Villa.